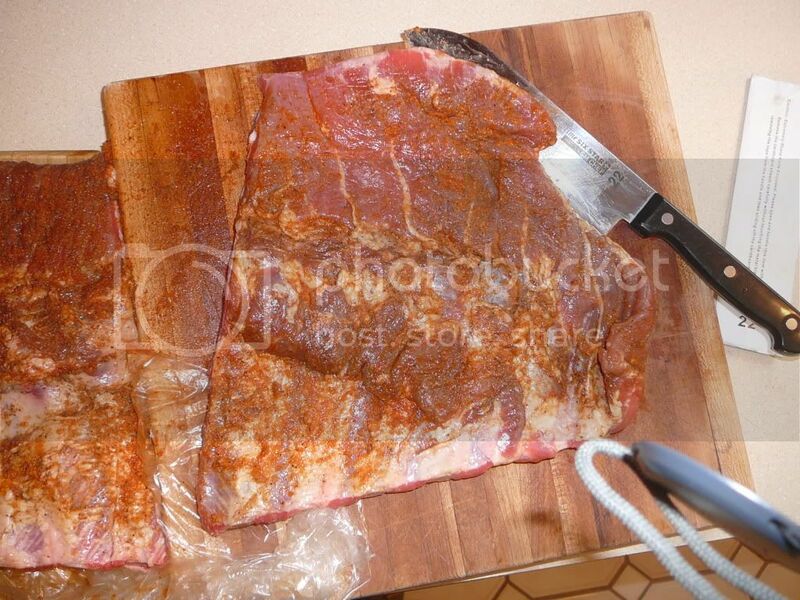 As promised, first Qview of first smoke | Smoking Meat Forums - The Best Barbecue Discussion Forum On Earth! 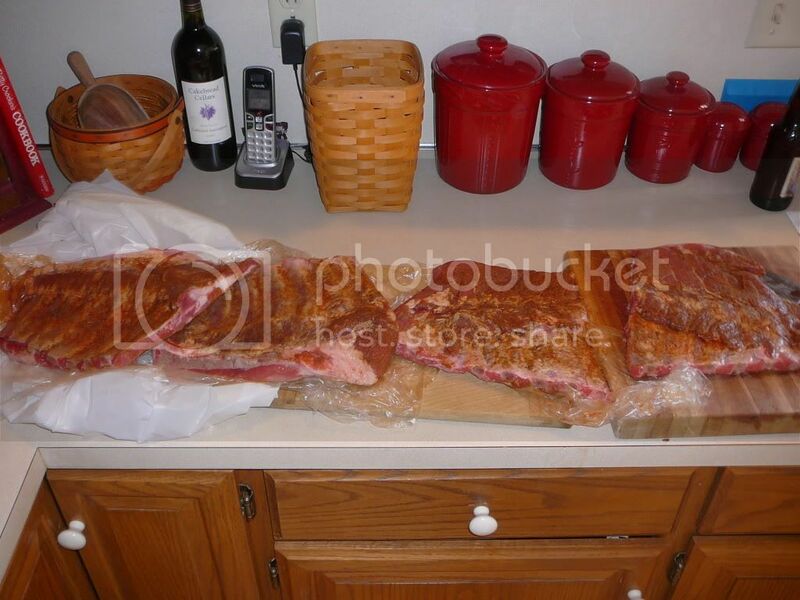 Discussion in 'Pork' started by dsmitty, Nov 21, 2010.
the full smoker is after the first hour of having the spare ribs in and adding the babybacks! Hopefully will have my wife get some pictures during the foiling of the ribs and covering of the shrooms.... I really hope these turn out as good as it all smells! sorry for the images not showing up, i will take care of this and post finished pictures after work today! thanks guys, and btw for the record, everyone fell in love with everything! that is one packed smoker... will be anxious to see your results! 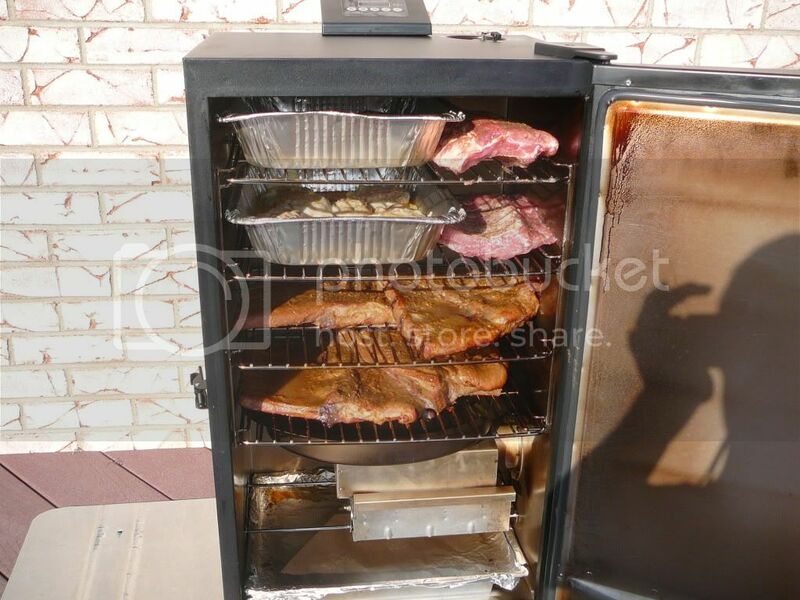 Well I can't see that full smoker but I really would like to. again, will have to try to get time to put the finished pictures up tonight after work. BEAUTIFUL!! but I gotta know more about those shrooms! Looks like you are off to an amazing start - Cheers! Give us some info on the 'shrooms! 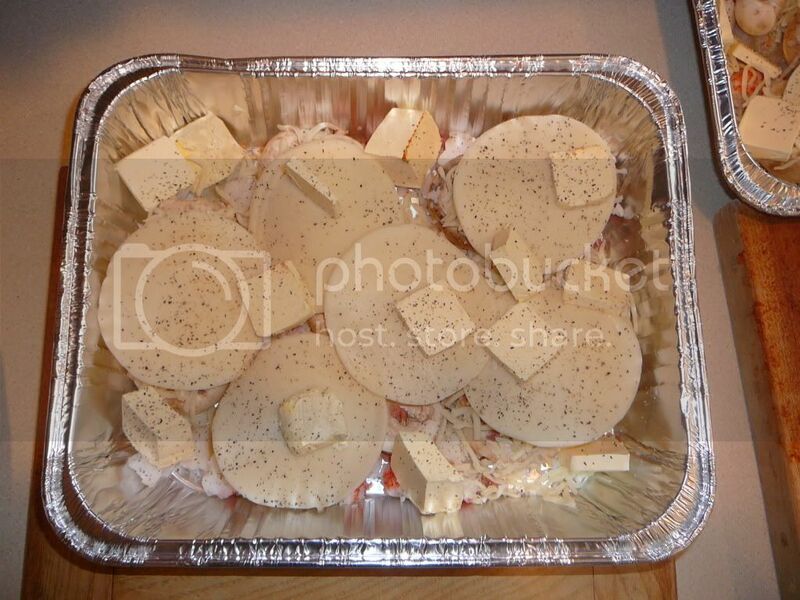 shrooms were just white mushrooms, stuffed with crab meat, bacon bits and shreded mozzerella cheese. then toped off with slices of provalone. Then i used about 1 1/2 sticks of butter and ALOT of garlic in each pan. I should have not exposed them to as much smoke as I did, the crab really pulled in the smoke... but everyone loved them. I honestly shocked myself on how good everything turned out for my first ever smoke. The in-laws, my brother and his g/f and a friend and his g/f all came over for dinner. 9 people in all, and didnt hear a single complaint. Cant wait to do it again.